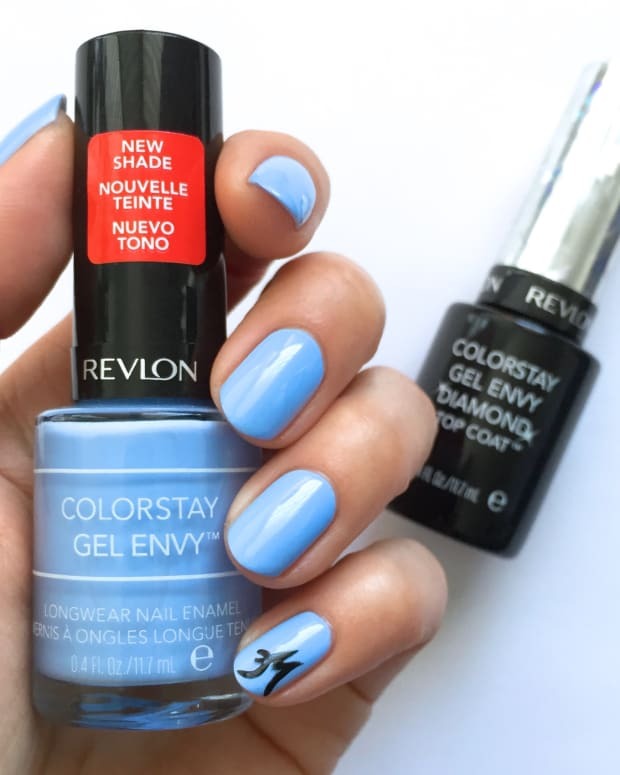 Revlon ColorStay Gel Envy: New Polish Launch à la CND Vinylux? The rumours are true. 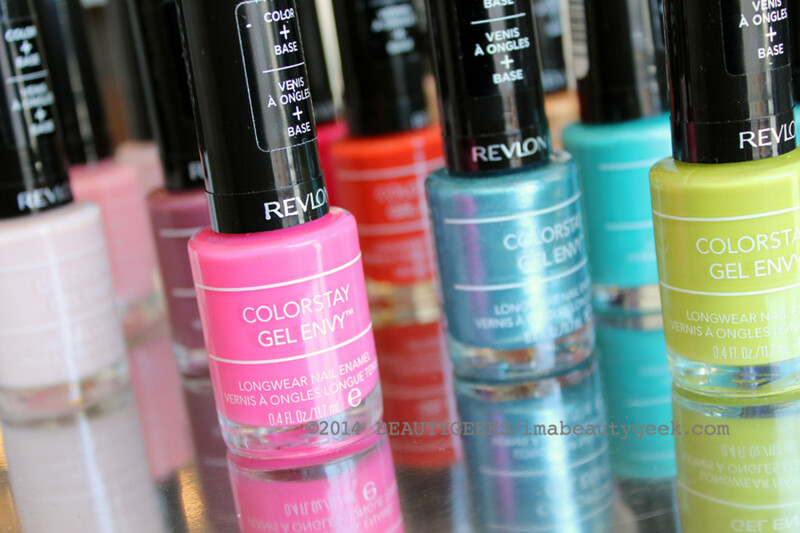 Revlon ColorStay Longwear Nail Lacquer is being replaced by Revlon ColorStay Gel Envy, a reformulated nail polish that makes us go, hmmmmm. 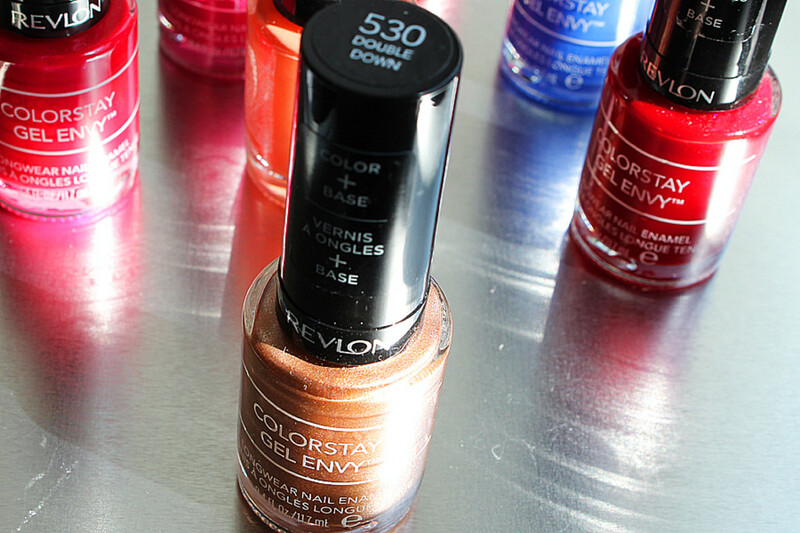 No base coat required + super-shiny longwear top coat. You know Revlon now owns Creative Nail Design, right? As in CND Vinylux? 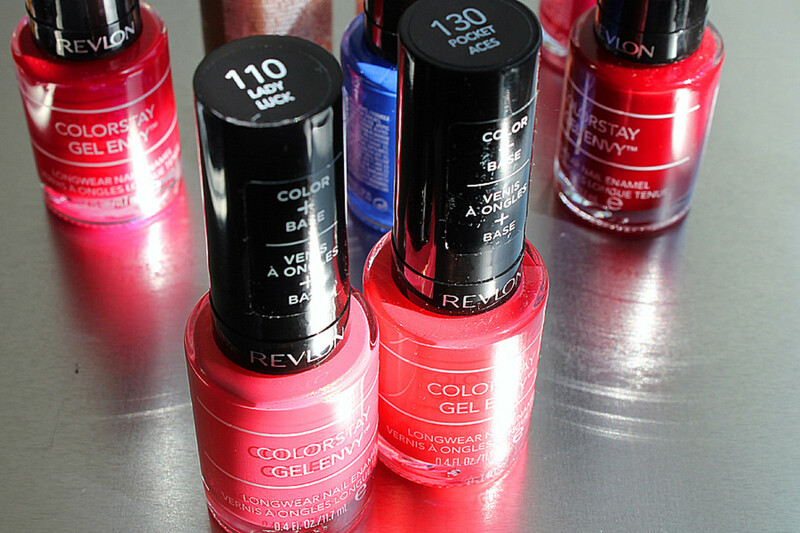 Let&apos;s have a look at the new two-step Gel Envy range. 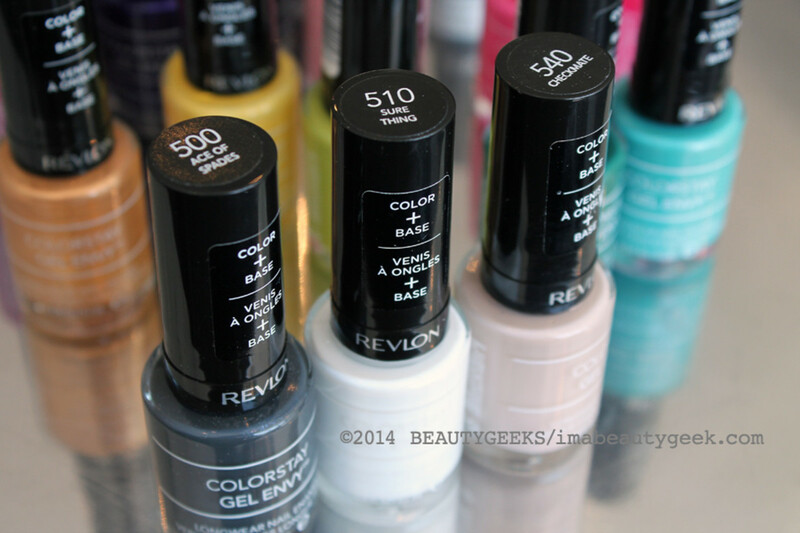 Remember the Revlon ColorStay Longwear nail polish claims? The formula contained UV-sensitive elements to give the colour some curing action without a UV lamp. Just daylight, yo. ColorStay Longwear also promised up to 11 days of chip-free wear. I wore it over soak-off gel and was impressed with the wear. It got good reviews from nail polish wearers, too. Above: Revlon ColorStay Gel Envy Diamond Top Coat; 020 All or Nothing; 030 Beginner&apos;s Luck (click on image to enlarge). 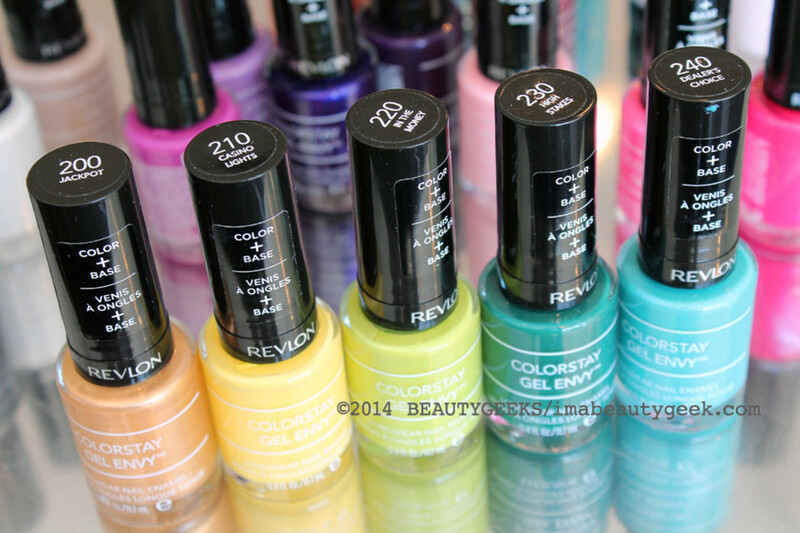 At the moment, I know only a few things about ColorStay Gel Envy nail polish. It seems a lot like CND Vinylux in its new, two-step approach. The shade names indicate a gambling theme. Base coat is built in and dry time is speedy. 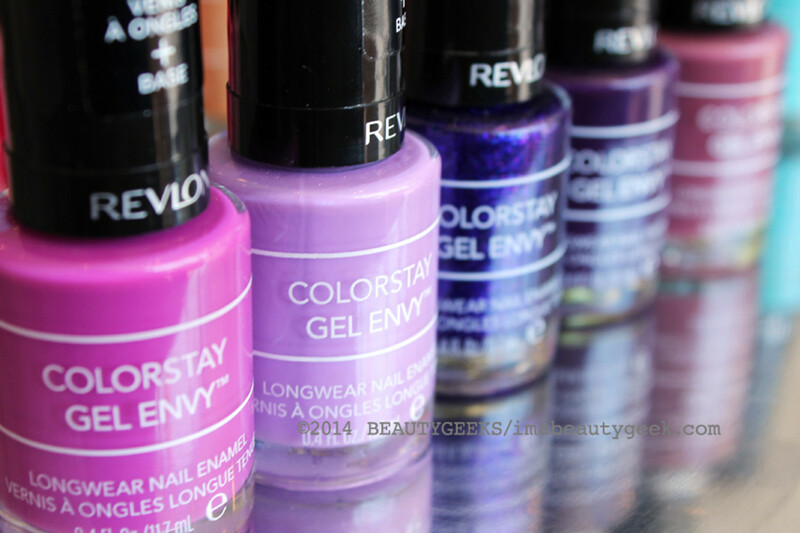 And with the top coat, Gel Envy apparently boasts a more durable finish than ColorStay Longwear. 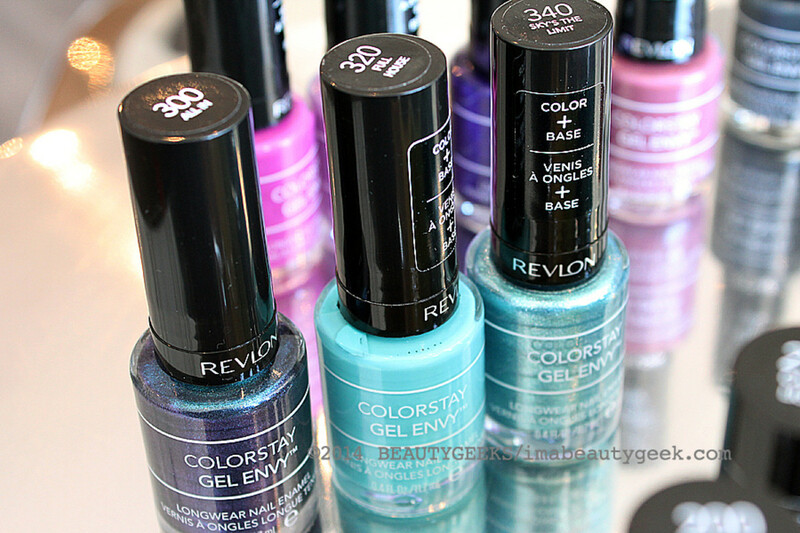 Above: Revlon ColorStay Gel Envy 100 Cardshark; 120 Hot Hand; the sample in the ColorStay Longwear bottle is Royal Flush, which actually belongs in the 400s. 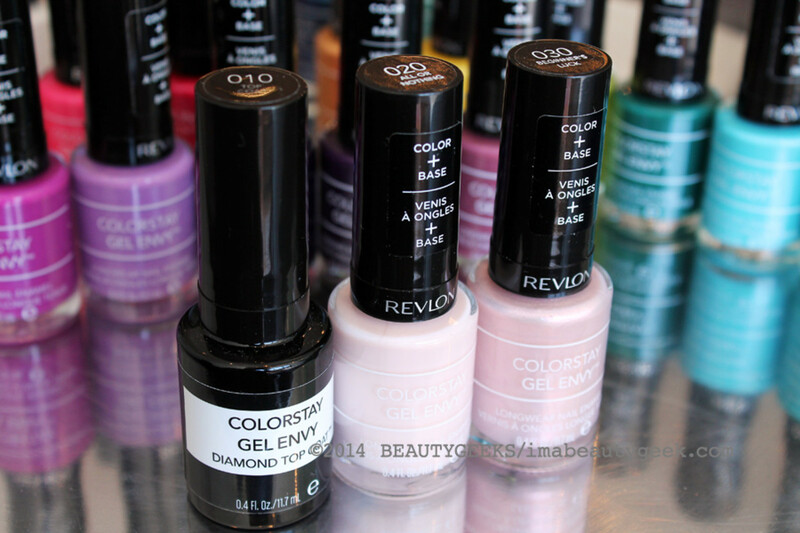 Revlon ColorStay Gel Envy in 110 Lady Luck and 130 Pocket Aces. 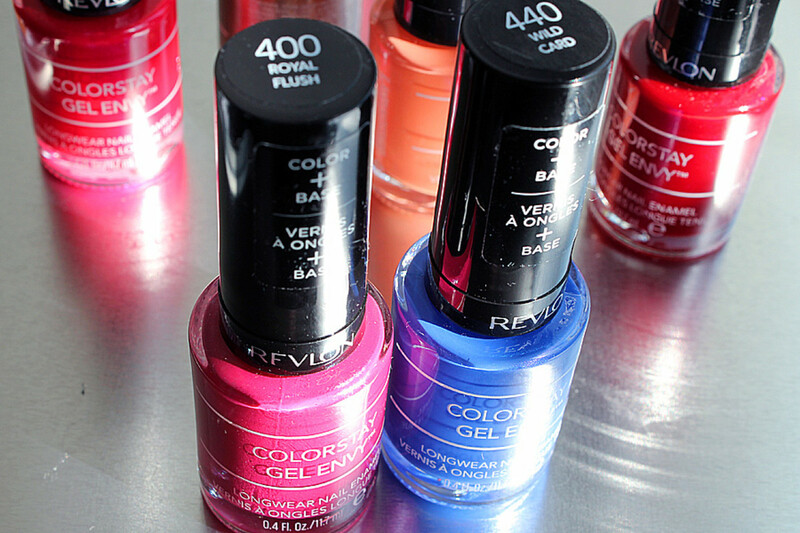 According to G at NouveauCheap.com via her contributor Pascale, Gel Envy is already hitting Canadian drugstores. I&apos;ve no idea where Pascale lives, but her sighting was just last week. Be on the lookout if this line intrigues you. I&apos;ve managed to shoot 22 shades plus the Revlon ColorStay Gel Envy Diamond Top Coat, which is the only polish in an opaque bottle. Above: Revlon ColorStay Gel Envy 200 Jackpot; 210 Casino Lights; 220 In the Money; 230 High Stakes; 240 Dealer&apos;s Choice (click image to enlarge). I think there are 25 30 shades in the collection. I&apos;ll add what&apos;s missing as soon as I get a chance. Above: Revlon ColorStay Gel Envy 300 All In; 320 Full House; 340 Sky&apos;s The Limit (click image to enlarge). This release has happened so fast that although product is on shelves somewhere, there is zero Gel Envy information on either revlon.com or revlon.ca. 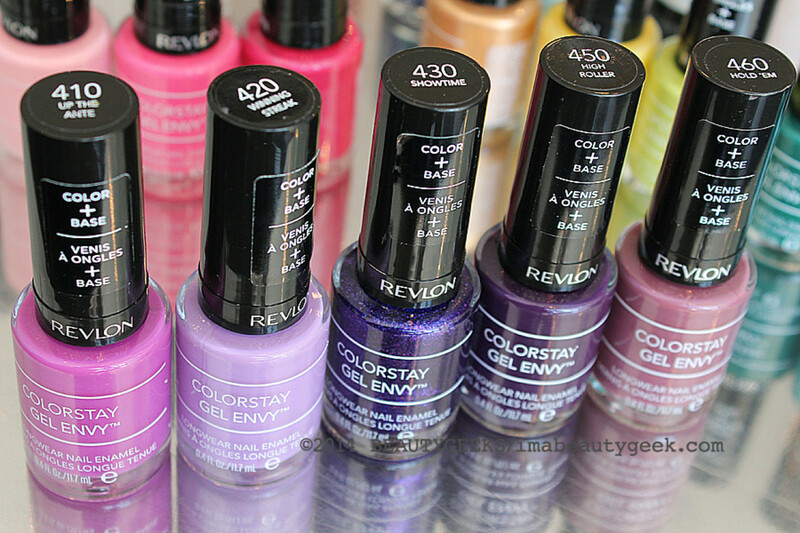 Above: Revlon ColorStay Gel Envy 410 Up The Ante; 420 Winning Streak; 430 Showtime; 450 High Roller (a lot like ColorStay Longwear Bold Sangria); 460 Hold ’Em (click image to enlarge). 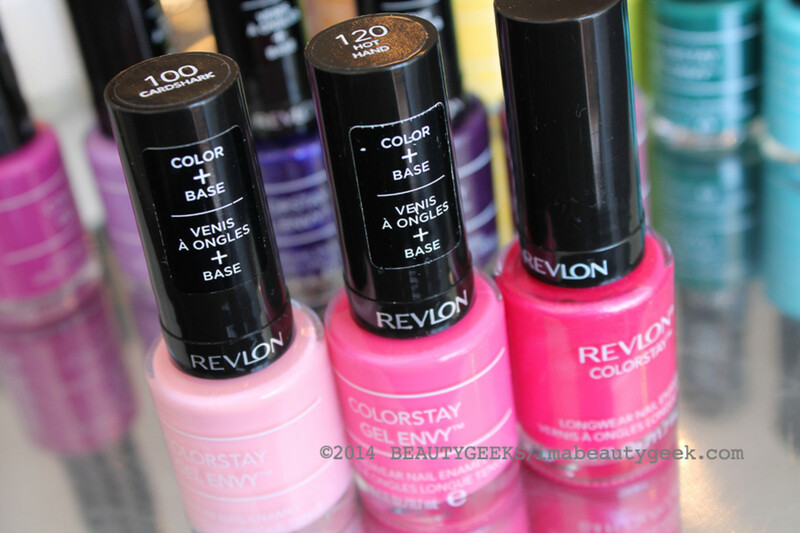 Revlon ColorStay Gel Envy Royal Flush and 440 Wild Card. Above: Revlon ColorStay Gel Envy 500 Ace of Spades; 510 Sure Thing; 540 Checkmate (click image to enlarge). Revlon ColorStay Gel Envy 530 Double Down. 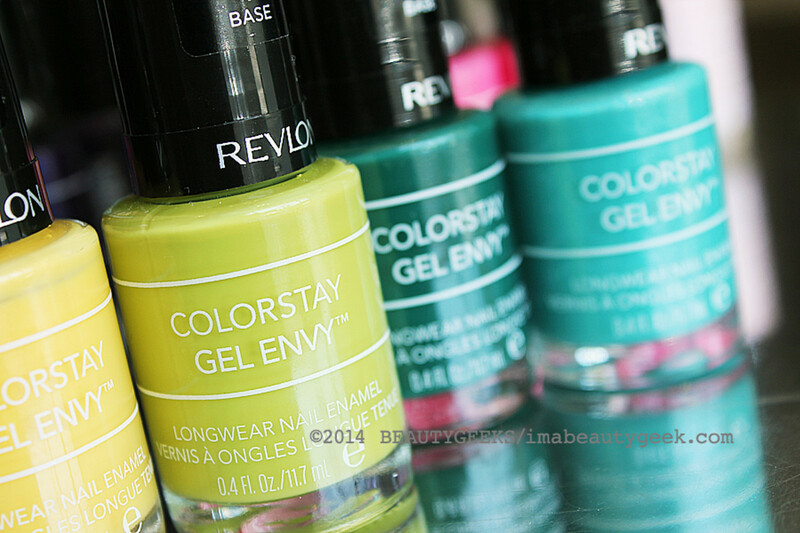 Above: Revlon ColorStay Gel Envy 630 Long Shot (click image to enlarge). 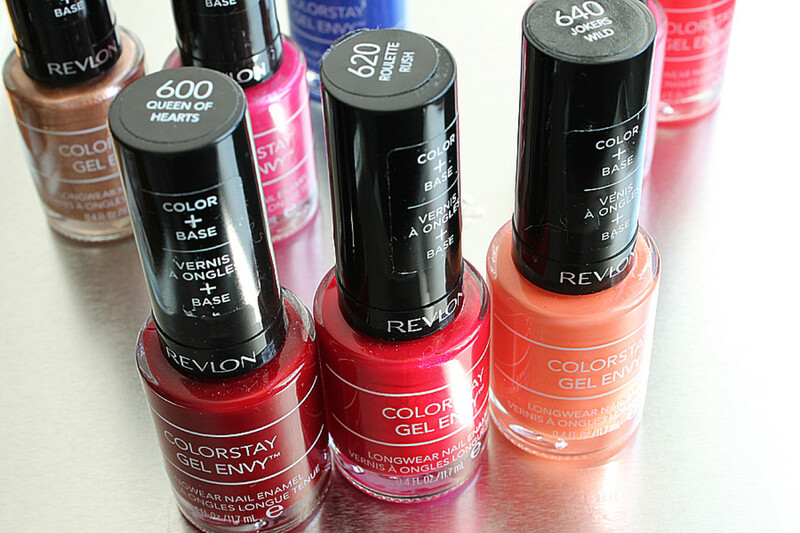 Revlon ColorStay Gel Envy 600 Queen of Hearts, 620 Roulette Rush, 640 Jokers Wild. 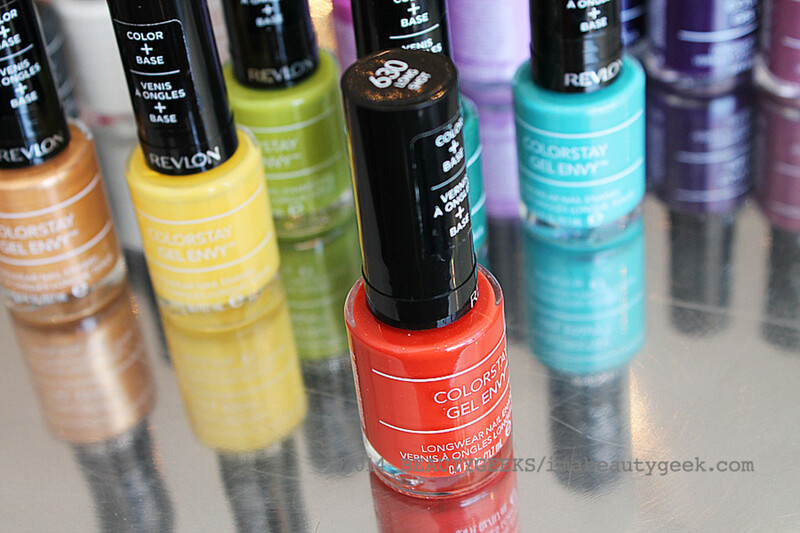 The Revlon ColorStay Gel Envy 2-step nail polish retails for $7.99 each at drugstores. 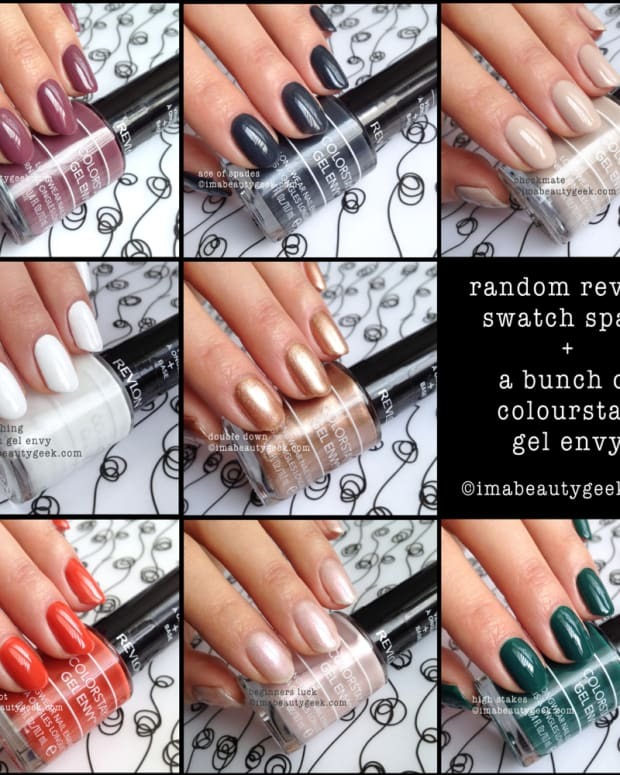 UPDATE: for a whack of swatches and our review , we&apos;ve made you a nice Revlon Gel Envy lazy-link! Please go have a look and let us know what you think. 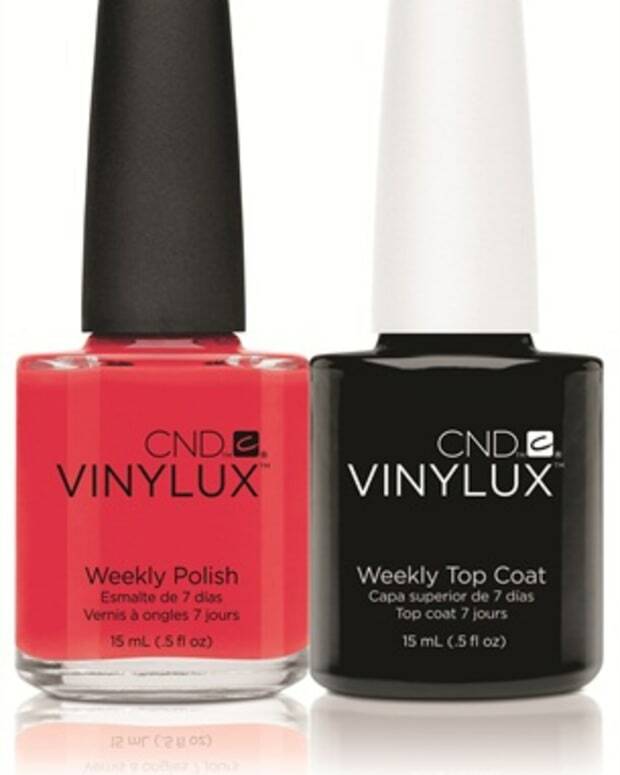 Nail News: New CND Vinylux Weekly Polish Lasts... Two Days?